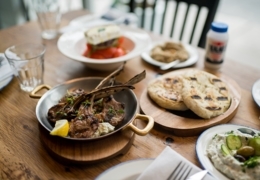 Nestled in the heart of Greektown, this eatery blends old world charm with such wonderfully zesty fare as grilled calamari, lamb chops, Kebabs and bifteki filled with feta cheese. It's also well known for the #1 Gyros outside of Greece. 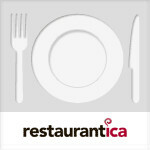 The atmosphere is friendly, relaxing and casual. Ratings & Reviews - Messini Authentic Gyros - Danforth Ave.
A popular spot on the Danforth, Messini is always packed with customers chowing down on some of the best Greek food in the city. All of the classic items can be found on the massive menu. The Greek fries and gyro are some of the best in the city! Messini is known for its delicious gyros! Thee gyros wrap is packed with so much stuff you may have to resign to eating it with a knife and fork. Alongside the tender gyro, the wrap includes tomatoes onions, tzatziki and French fries. You can also get the gyros in a club sandwich. 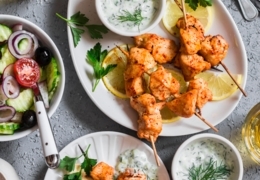 Located in the heart of Greek Town, Messini’s is known for its chicken souvlaki dinner. Available on the dinner menu, it comes with thinly sliced chips or in a wrap served with fries. 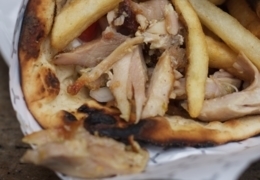 You can also grab the chicken souvlaki pita on the lunch menu. Related Articles to Messini Authentic Gyros - Danforth Ave.